The famine is long over, but a certain hunger still remains.A hunger for memory and learning. 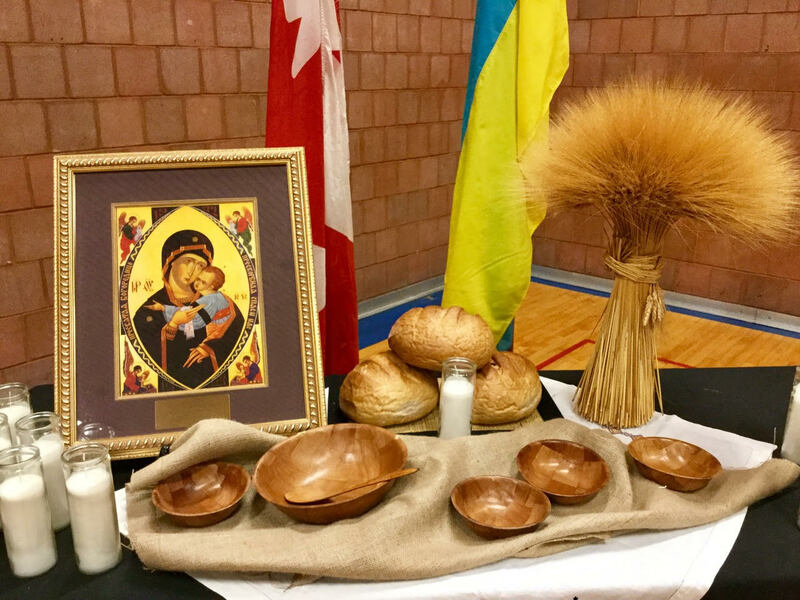 The Ukrainian community wants — needs — the world to not only acknowledge “Holodomor” (for decades the world didn’t) and to mourn with it, but also to teach succeeding generations about it in their schools. 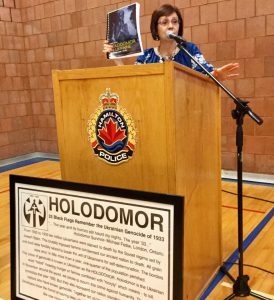 You could hear that hunger in the voices of many who spoke Sunday at the 84th Anniversary Holodomor Famine-Genocide Commemoration at the Hamilton Police Services building on King William. 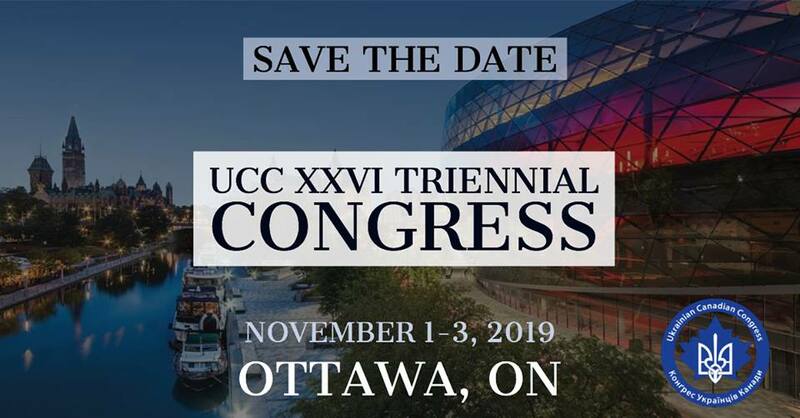 It was organized by the Ukrainian Canadian Congress, Hamilton Branch. 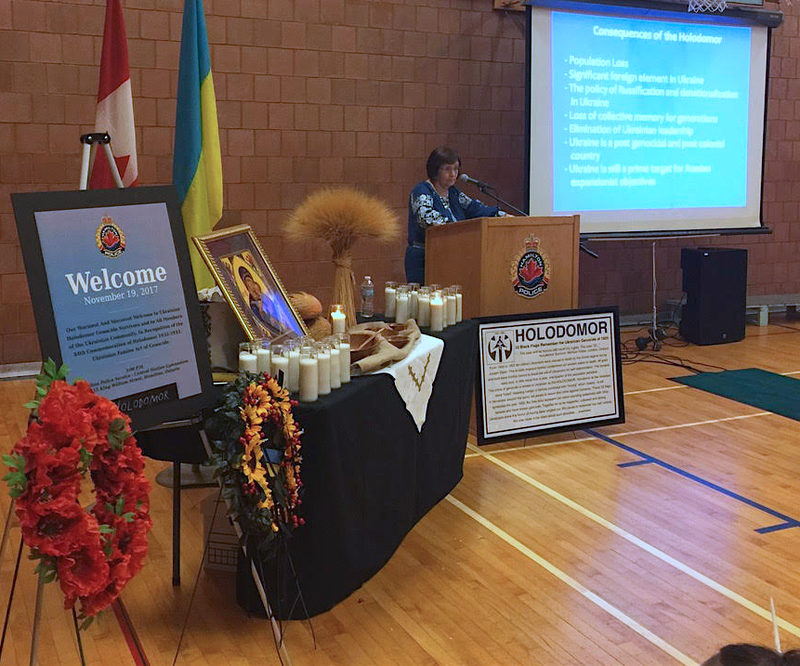 84th Anniversary Holodomor Famine-Genocide Commemoration at the Hamilton Police Services building on King William in Hamilton, Ontario, organized by the Ukrainian Canadian Congress (UCC), Hamilton Branch. 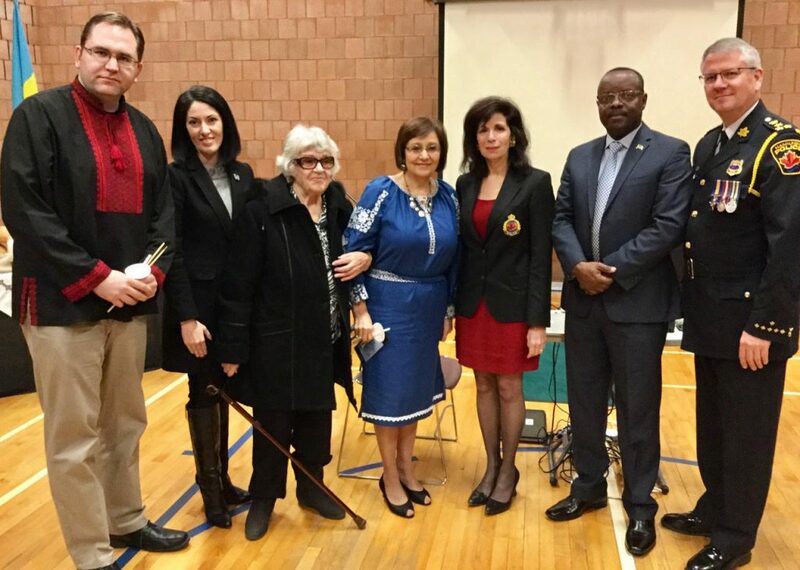 From L–R: CEO of the Ukrainian Canadian Congress Ihor Michalchyshyn, President of the UCC–Ontario Provincial Council Anna Kuprieieva, Hamilton resident and Holodomor survivor Lyuba Kochmar, Keynote Speaker Valentina Kuryliw and the Director of Education, Holodomor Research and Education Consortium, Hamilton Police Services Board Member Madeleine Levy, and the President of the Rwandan-Canadian Community of Hamilton Jean Gacinya. 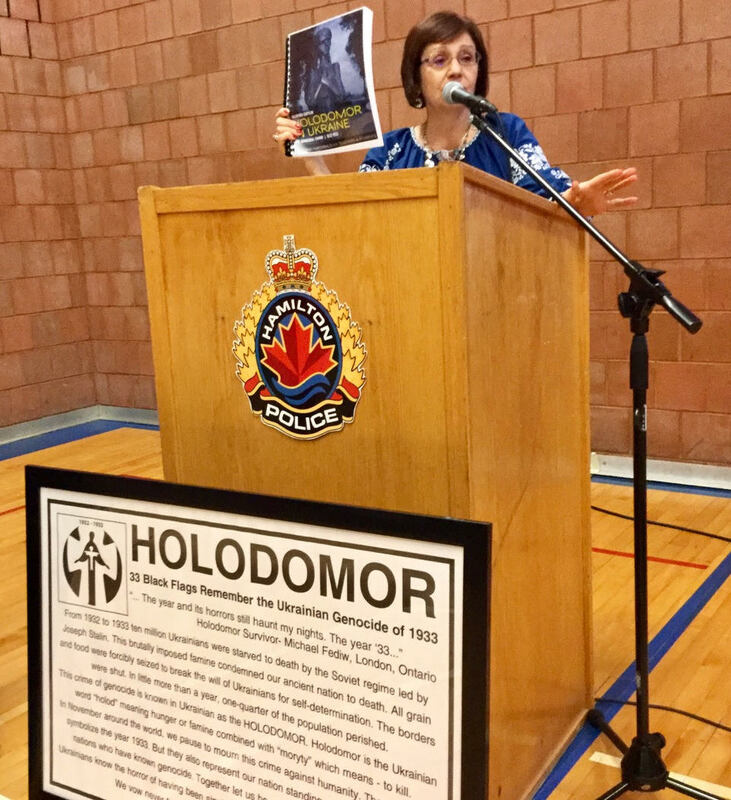 Valentina Kuryliw, Chair of the National Holodomor Education Committee (NHEC) and Director of Education at the Holodomor Research and Education Consortium (HREC) during her presentation as the Keynote Speaker for the Holodomor Memorial Day in Hamilton, organized by the Ukrainian Canadian Congress – Hamilton Branch.